Trump speaks to American Jewish leaders in pre-High Holy Days phone call, vows to fight attempts to harm Israel at the UN. U.S. President Donald Trump told American Jewish leaders in a phone call on Friday that he loves Israel. 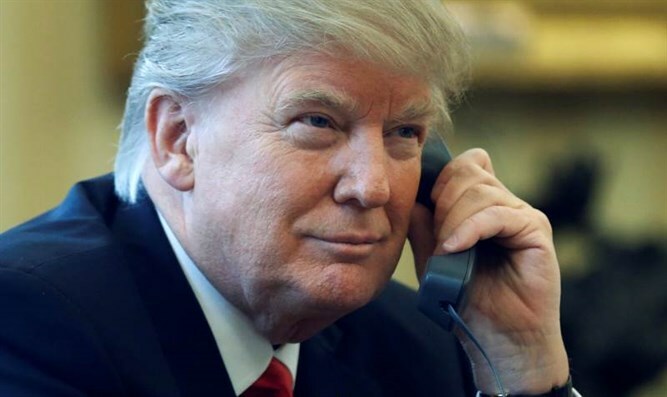 In the nine-minute call, which comes ahead of the Jewish High Holy Days, Trump expressed his strong support for Israel, and promised to fight back against attempts to hurt Israel at the United Nations. He also expressed his hope to see progress on the Israeli-Palestinian Authority peace process during the coming year, according to Haaretz. The call began with brief remarks by Jared Kushner, the President's Jewish son-in-law and senior adviser, who said that this is the most important time of year for the Jewish people, and added that Trump is proud to hold the call. Trump then spoke to the participants and said that under his leadership, "the United States will always support Israel. Not just because of security, but because of shared values." "On a personal level, and I just returned from Israel not too long ago, I can tell you that I love Israel," he added, according to Haaretz. Trump also promised that his administration will focus on changing the United Nations’ treatment of Israel and on trying to achieve peace. "We forcefully condemn those who seek to promote anti-Semitism. I will make sure we protect Jewish communities, and all communities, to make sure they are safe," he was also quoted as having said. The annual phone call was held this year between Trump and representatives of three major Orthodox umbrella groups. It did not involve representatives of the Reform, Conservative and Reconstructionist movements, which declined to participate in this year’s phone call in protest of Trump’s response to the recent violence in Charlottesville.